...and rather surprised to see all my Photobucket-hosted photos still on the blog. Who knows what's going on - did I somehow renew my account automatically and consequently they let me off the USD 400 per month charge? It's a good thing, of course. Let's see what happens...In the meantime, a fantastic holiday was had in New Zealand. We flew in to Christchurch, where it was 31 C. That proved a bit too much for the boys, but we had a wonderful first day walking around the beautiful botanical gardens; there was something about walking amongst flowers in bright sunshine that seemed to lift my jet-lag and mood more generally - instantly I felt like I'd been on holiday for a week already. The botanical gardens contrast with central Christchurch, much of which was destroyed by the earthquakes of 2011, including the historic cathedral. The damage was worse than I had realised (notwithstanding the appalling death toll), but the people who live there are clearly eager to rebuild. I'll do a separate post on what I saw in the local museum. 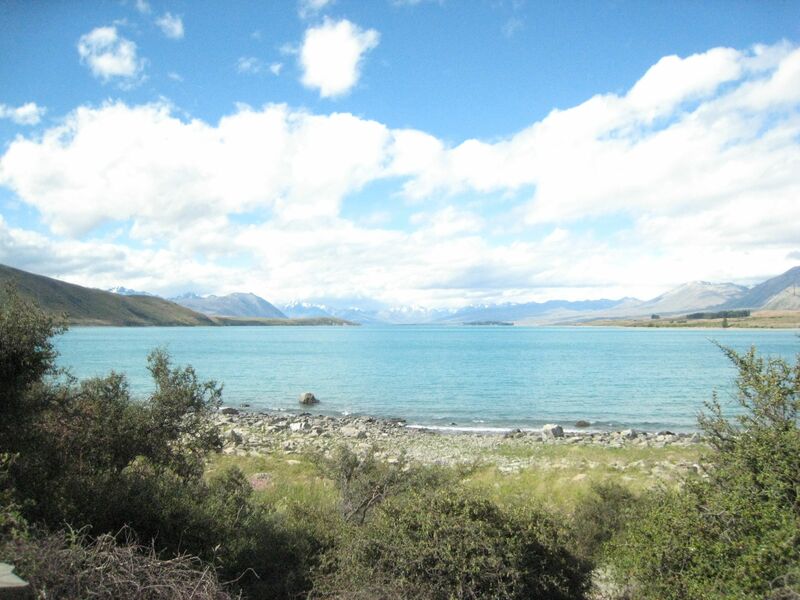 We then drove down through Lake Tekapo (or "take a poo" as the boys called it...) and Lake Wanaka to Queenstown, the self-styled "adventure capital of NZ". 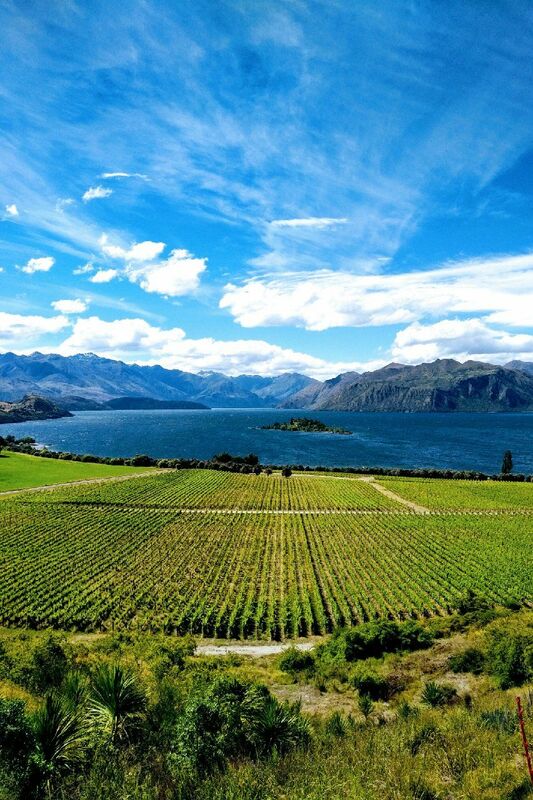 Situated above Lake Wanaka is the glorious Rippon Vineyard - see the photo above. 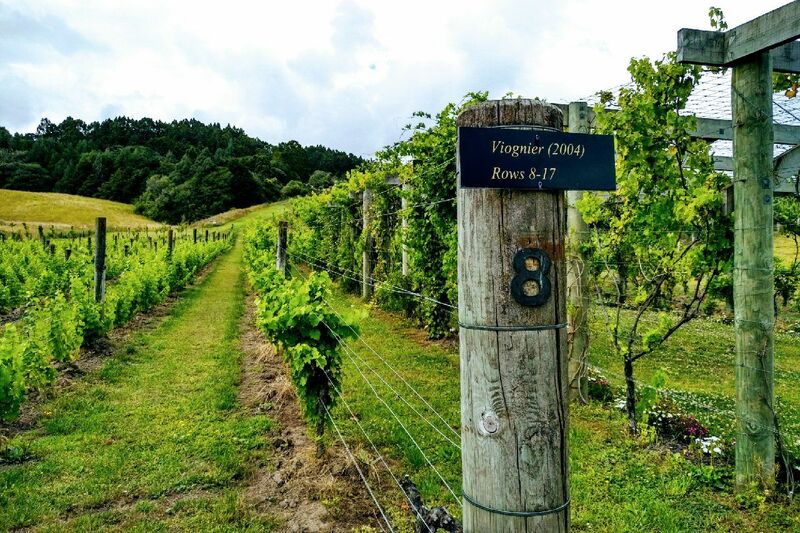 This is often what you see when you Google "NZ wine" - it's one of the most beautiful vineyard settings in the world. 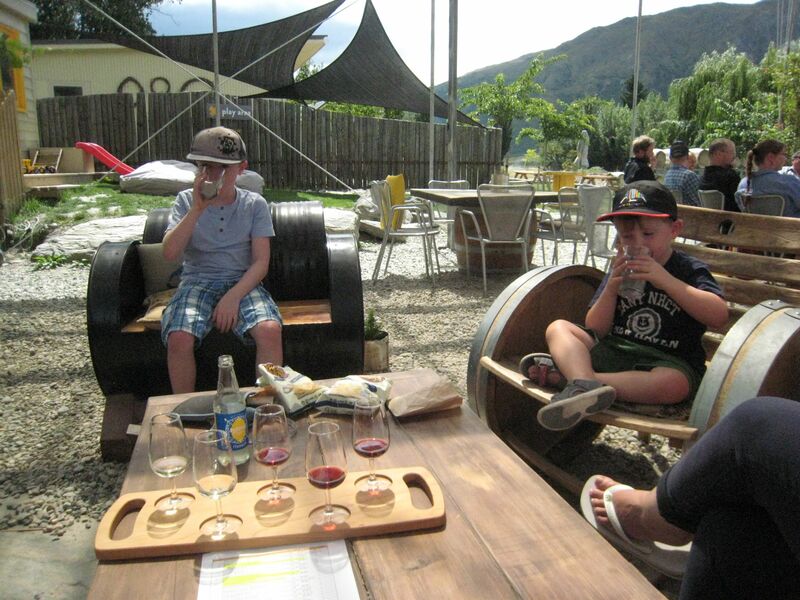 Queenstown is more brash than Wanaka, but has easy access to the wineries of Central Otago and all sorts of outdoor pursuits if wine isn't your thing. 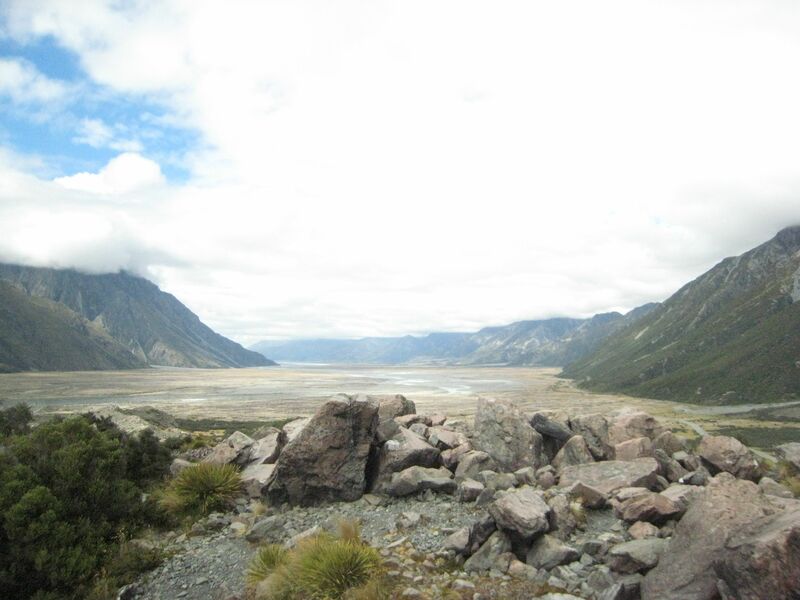 The landscape of central South Island - all lakes and mountains. 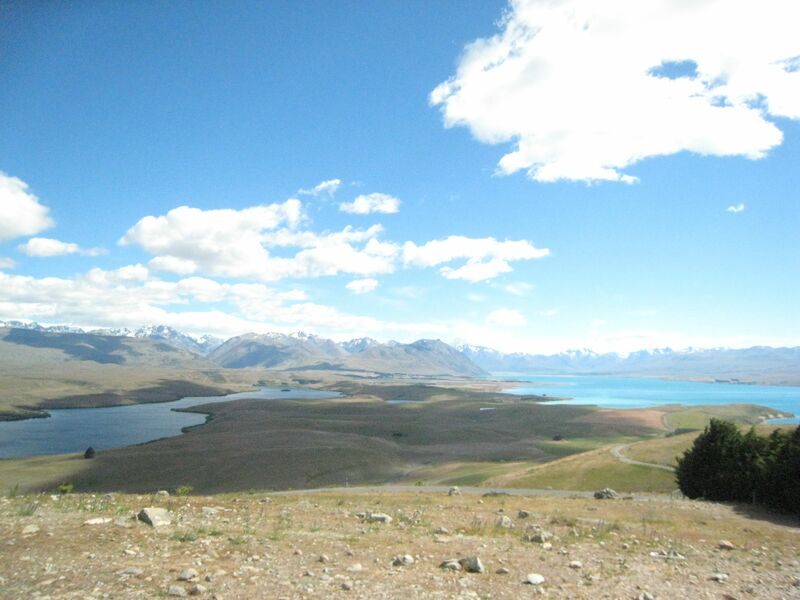 The very blue Lake Tekapo. Vines in the Gibbston Valley near Queenstown. 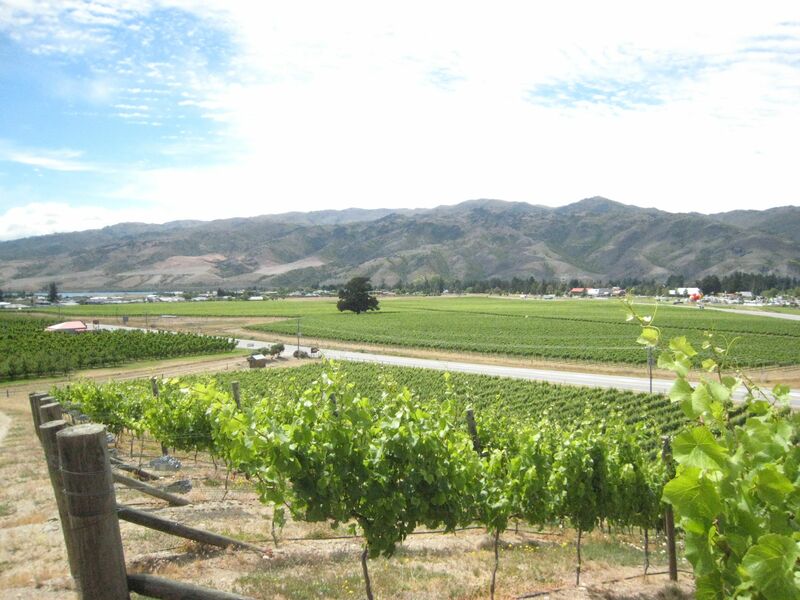 The Gibbston Valley is good couple of degrees hotter than its surroundings - an excellent place to grow grapes. 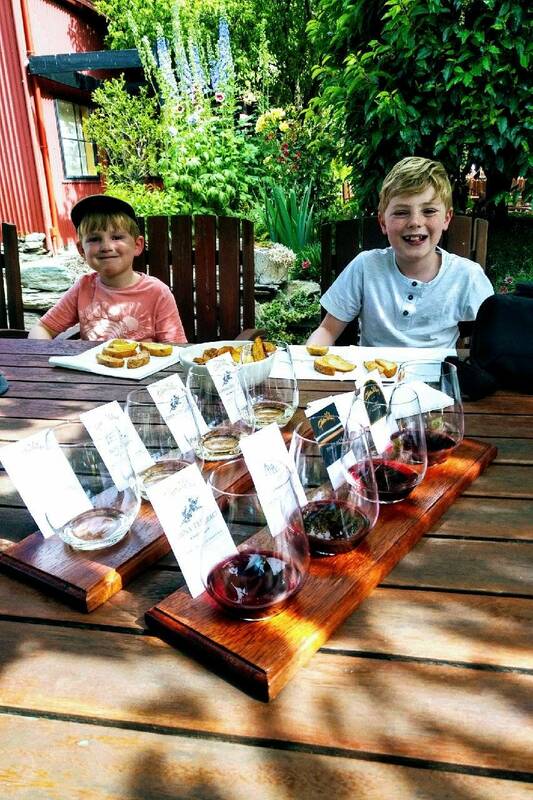 Chips for the boys and a tasting flight for the grown-ups - something for everyone. Seriously, though - are we done with wine tasting now? 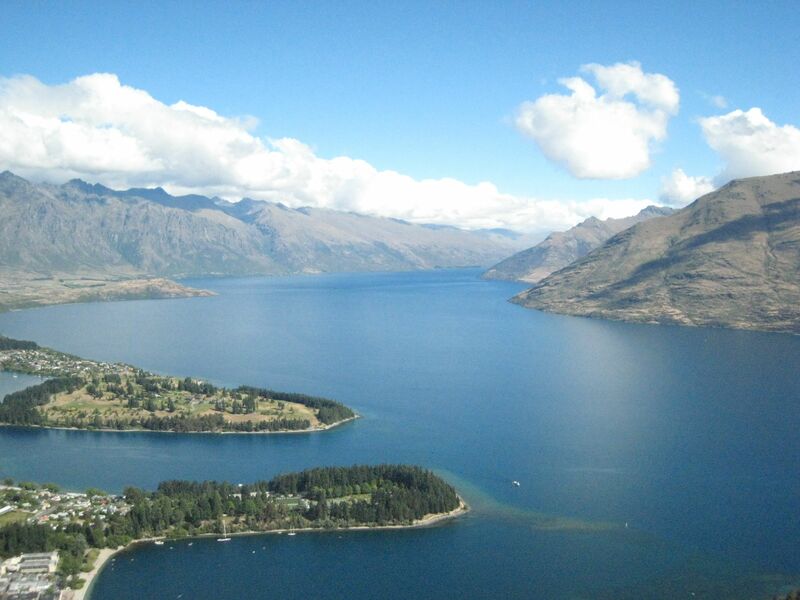 Queenstown itself is located on Lake Wakatipu, which in films has stood in for Loch Ness. 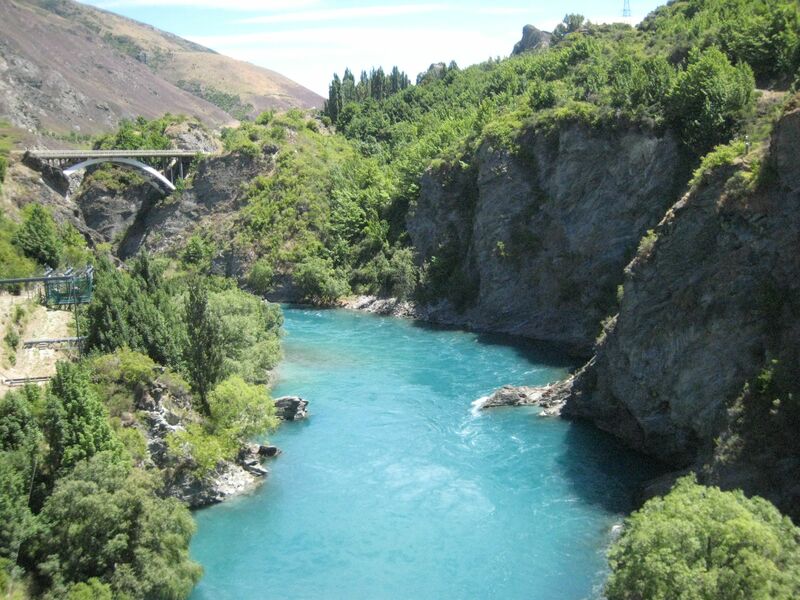 Kawarau River - scene of Queenstown's famous bungee jumping experience (just behind where the photo was taken). After a week in Queenstown we travelled back up north to see Mt Cook, or Aoraki, the highest mountain in Australasia, where we saw real icebergs in the glacial Tasman Lake, and we then spent a few days in Canterbury, north of Christchurch. Tasman River valley, with the tip of Lake Pukaki in the distance. Long ago all this was glacier. 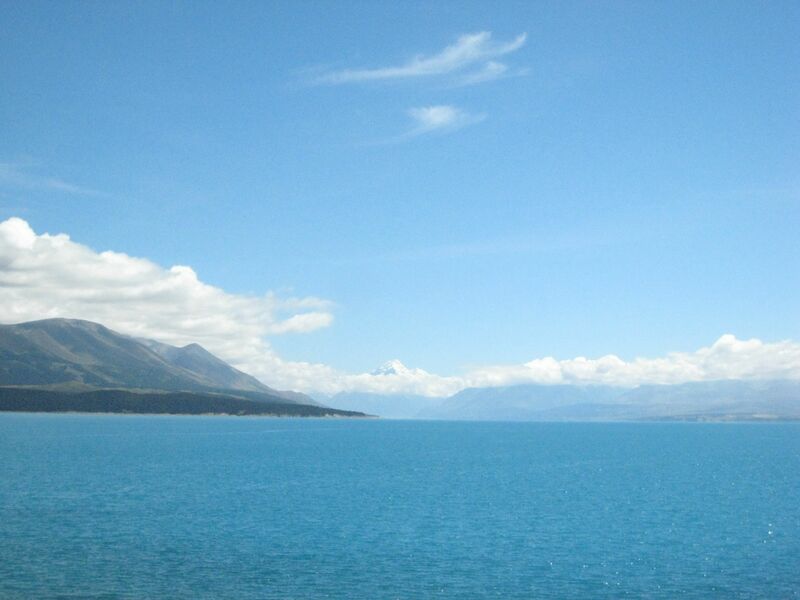 In the middle of this photo of Lake Pukaki you can just see the peak of Mt Cook above the clouds. It was then time for a leisurely drive back to Christchurch through the Waipara wine region - Black Estate and Greystone being particular favourites among the wineries we visited. 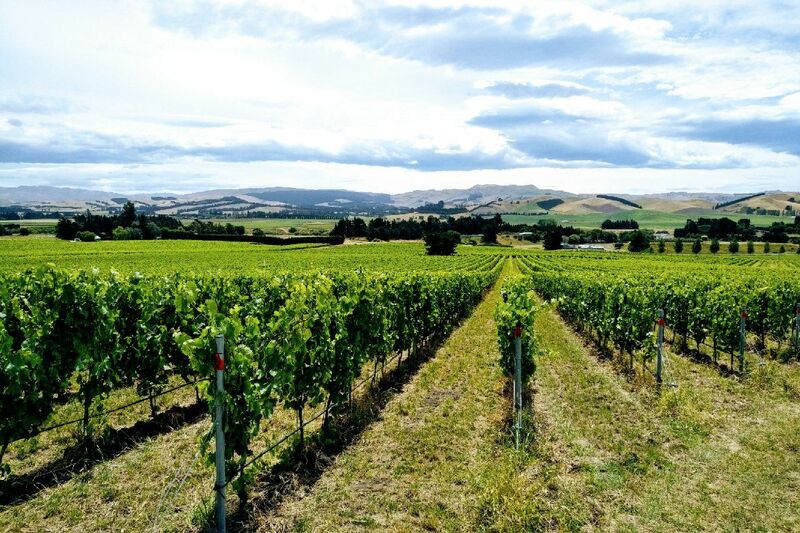 Vineyards in Waipara, north Canterbury. 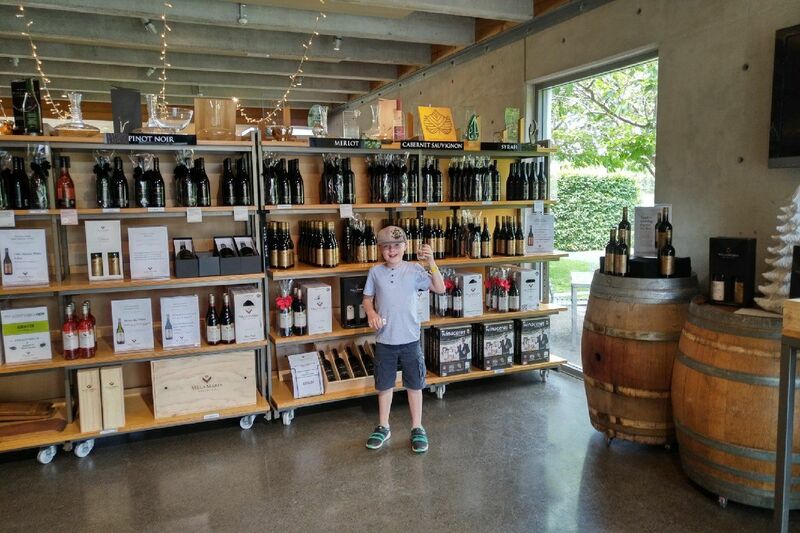 Hugo at Villa Maria's winery restaurant/cellar door at Mangere near Auckland airport. 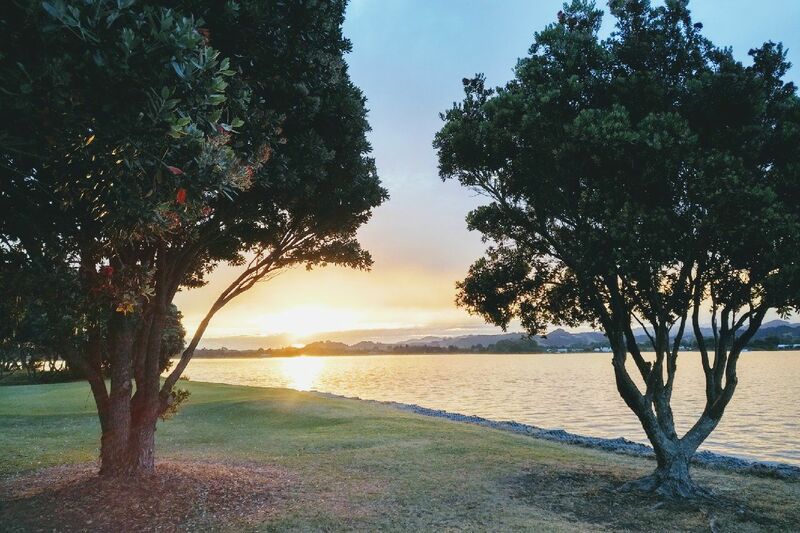 We flew back to North Island so we could spend Christmas with the Kiwi's family, who live about 2-3 hours' drive south of Auckland in Tauranga. We drove down after an excellent luch with friends at Villa Maria's winery restaurant just outside the airport. At Tauranga I met up with wargaming friends Valleyboy and Captain Chook, both of whom have now built new homes with proper customised wargames rooms. After a few days with the whanau we travelled back up past Auckland for a final week staying by the beach at Omaha, near Matakana. 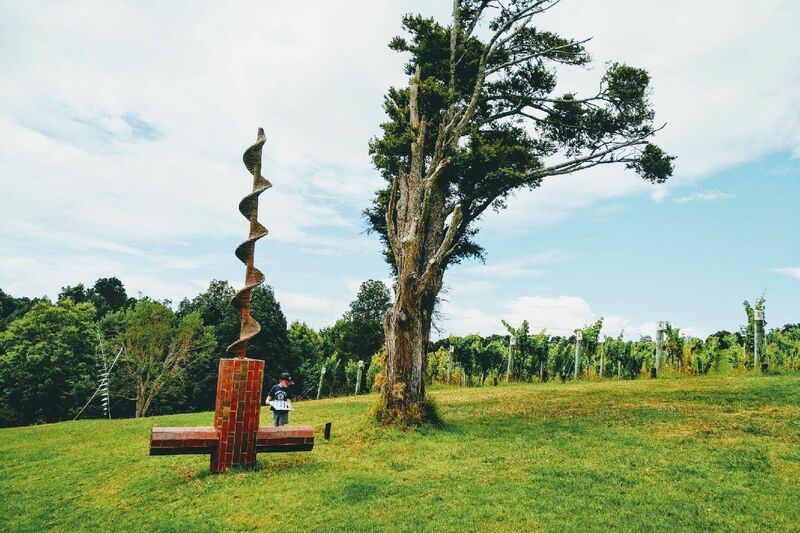 Matakana is another small wine region just an hour's drive out of Auckland. 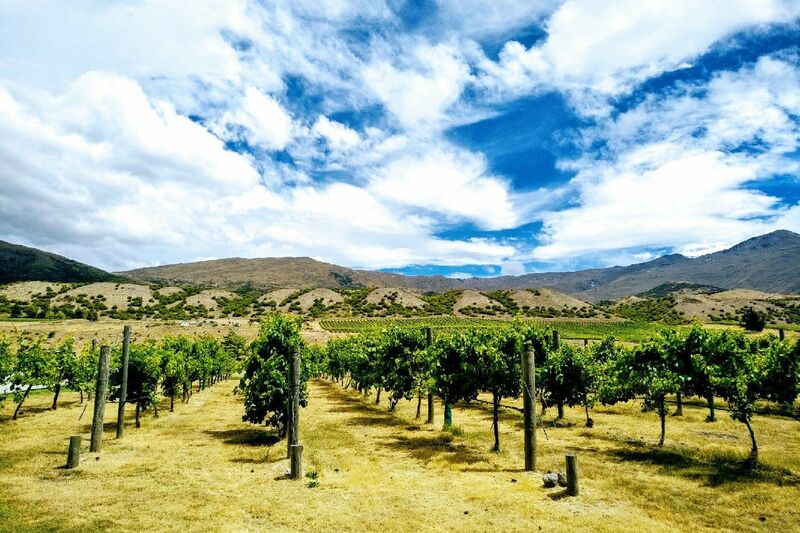 Like Waiheke Island off the Auckland coast, Matakana is mainly known for its Bordeaux-style red blends. 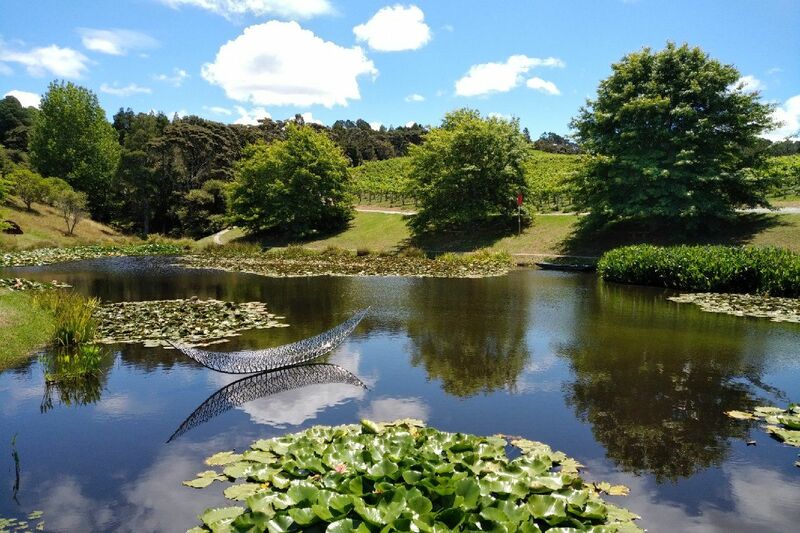 The serene vineyard at Brick Bay, Matakana. Monty on the sculpture trail at Brick Bay. A lot of wine was consumed, of course. My holiday notes confirm that we visited 27 winery cellar doors and I drank at least one glass of 133 wines (including a truly execrable white from France served up by Singapore Airlines). 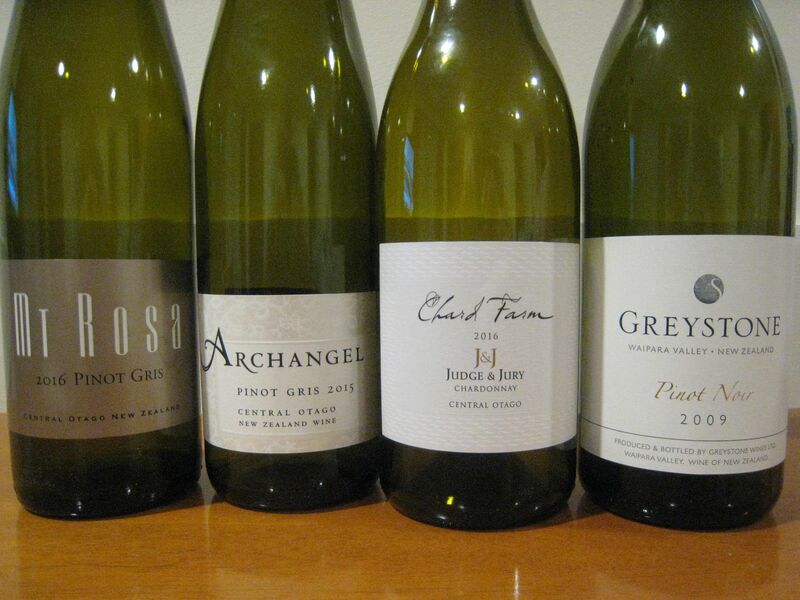 Down in South Island it was all about pinot gris, Riesling and pinot noir. I didn't really warm to Otago's sauvignon blancs, as they are usually barrel-aged and mixed in with a bit of Semillon - perfectly good wines but I'm just too used to the traditional NZ sauvignon blanc style. The pinot noirs, on the other hand, were gorgeous (if expensive). Up in Waipara we had some lovely cool-climate chardonnays and Matakana provided some fruity roses and robust, but elegant, reds. Passing my in-laws' allowed me to pick up some wines that have been resting there for a few years - I opened my Dry River whites, a riesling and pinot gris, which were wonderfully aged examples of the varieties, which reminded me of the famous Hugel wines from Alsace. You'll never go thirsty in NZ - craft beer is the hot thing now and we enjoyed a few of those too. So for those interested in such things, wine highlights were as follows: Mount Riley Limited Release Central Otago Pinot Noir 2016; Gibbston Valley China Terrace Chardonnay 2015; Amisfield Pinot Noir 2014; Brennan Pinot Noir 2009 and 2011; Brennan Pinot Gris 2014; Waipara Hills Equinox Chardonnay 2015; Maude EMW Pinot Noir 2016; Pegasus Bay Merlot/Cabernet 2013; Mt. 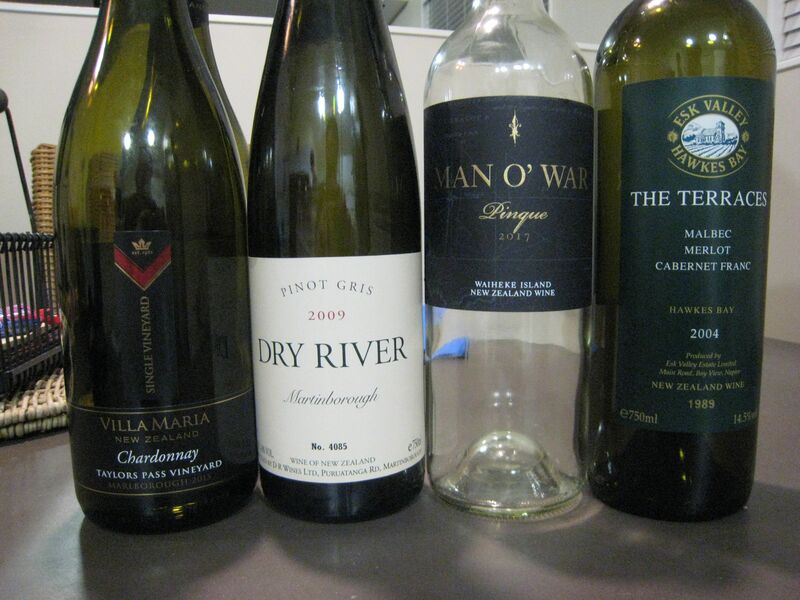 Rosa Pinot Gris 2016; Man O'War "Exiled" Pinot Gris 2016; Dog Point Sauvignon Blanc 2017; Sileni "Cut Cane" Hawke's Bay Merlot 2015; Villa Maria Reserve Malbec 2009; Crossroads Winemakers Collection Cabernet Franc 2010; Mills Reef Port 2006; Esk Valley "The Terraces" 2004; anything from Chard Farm (in Otago) and Black Estate (in Waipara). 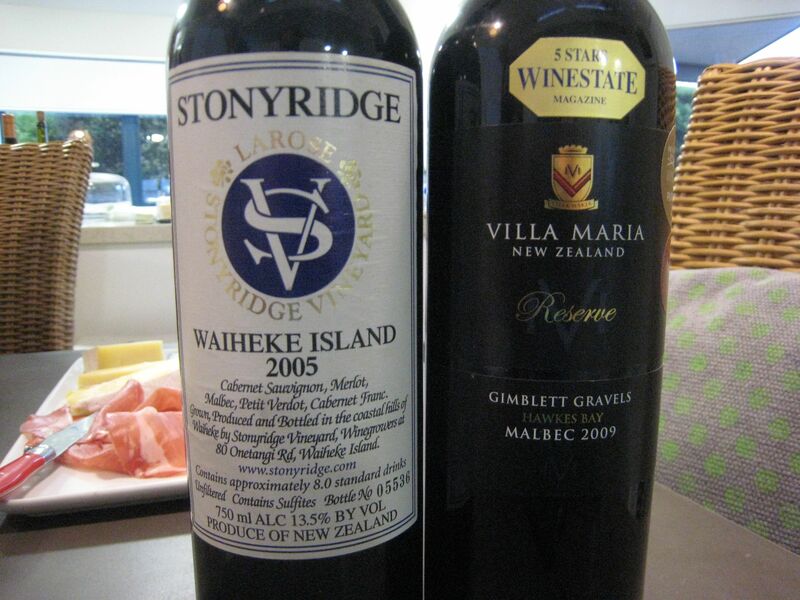 Stonyridge's "Larose" - possibly NZ's greatest red wine.